Tonight! 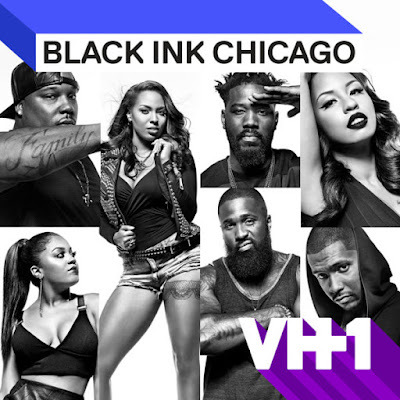 ALL NEW Black Ink Crew: Chicago Season Two at 9PM on VH1 #BlackInkCrewCHI #BlackInkCHI ~ Phresh Hott New! On today episode of Black Ink Crew: Chicago Season Two, “A New Kat-itude” Van returns to work at 9 Mag but is angered that the shop has changed. Charmaine is forced to face the consequences of quitting her corporate job and following her dreams. Ashley confronts Don about fathering another child with another woman. Tempers flare when Ryan introduces yet another new tattoo artist in the shop. Van Is Furious With The State Of 9 Mag…. Look below as Van catches up on what he's missed in the past few months while he was in jail and is not pleased with the way things fell apart. Find out if the 9 Mag crew can pull it together Mon 10/17 + 9/8c on VH1.